Handgunners today enjoy a market crowded with excellent options. Some writers and experts have dubbed the current era of firearms a second golden age at least so far as refinement, if not innovation is concerned. You cannot walk into a gun shop anywhere without tripping over stacks of handguns that are so good in so many ways we flat would not have believed it possible even 30 years ago. Thanks to the increasing synthesis of social media for entertainment as well as advertising and other commercial purposes, it is easy to get caught up with the notion that highly customized, expensive or exotic foreign pistols are the only options for the discerning shooter. Seeing a stock gun adorn the feeds of anyone on social media is rarer and rarer. But is that true? Are you hopelessly outmoded and outmatched if you do not spring and shell out a mortgage payment for a tricked-out handgun? Happily, absolutely not! In fact, there are more excellent, high-performance stock handguns to choose form than ever before, and what’s more, there are a slew of options under $500 that will serve you dependably and not bust your piggy bank. A reliable handgun and plenty of practice turns out results that never go out of style. In this article we’ll be showcasing a brace of 10 great handguns that you can trust without spending a ton of cash. So grab your notepad and let’s get to the list! All of the handguns on this list are good, dependable handguns suitable for a variety of tasks with one hard requirement: they must all be solid enough to be relied on for self-defense, in keeping with the purpose of this site, which is to help you be prepared for whatever life throws at you. So while they may have other attributes that make them better or worse for competitive shooting, target shooting or some other activity, you can be assured that any gun on this list is reliable enough to bet your hide on when the chips are down, first and foremost. So no matter how good some other handguns are purported to be in the “budget” or entry level category, if you don’t see them on this list, you do not want to take your chances with them! Below you’ll find fullsize pistols and compacts, revolvers and semi-autos, but the one thing they have in common is that they are an excellent bang for your buck. They are also all available new production, and were chosen for a consistent street price of $500 or less. You can get some truly excellent handguns used for less than $500, especially if you are willing to track down certain out of production models, but that is not keeping in the spirit of our list. That’s all the preamble out of the way. Let’s get to the list! The 3rd sister in the Great Striker-Fired Pistol Race of the early 2000’s, the XD has stuck around and developed a loyal following despite the best efforts of the Glock and M&P to completely supplant it. Springfield Armory’s premier polymer handgun is well known for its nice control layout, general reliability and good trigger. Its standard loaded chamber and striker status indicators, trigger safety, and grip safety ala the 1911 have endeared the XD to fans of redundant passive safety systems. While the grip safety in particular is a love-or-leave-it feature, as long as shooters take care to maintain a full grip on the gun it is a non-issue. 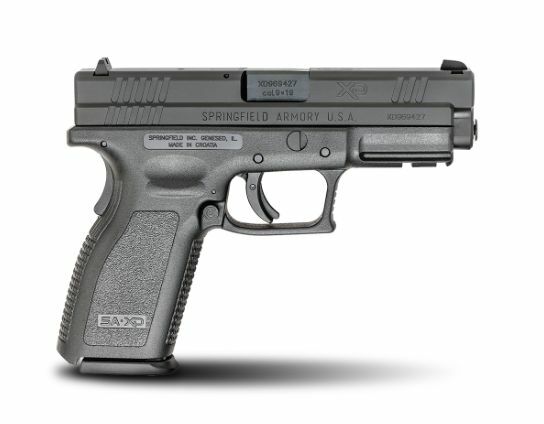 The XD is a nice shooting pistol, and though not quite at the same level of quality as the Glock and M&P, the vast majority of prospective purchases will find it a dependable pistol, easy to shoot and very worthy of your hard-earned dollars. A direct descendant of S&W’s Glock rip-off, the Sigma, the SD9VE series guns have come into their own after that contentious copycatting incident eventually bore sweet fruit in the form of the M&P. Comparing the cruddy Sigma to the SD9VE will show the latter’s considerable refinement over that earlier polymer gun, refinement it has in spades. The SD9VE is a no-frills striker-fired gun, but one that is reliable, durable and packed with plenty of smart features. The frame is aggressively textured on all sides, and also has matching texture “finger locators above the trigger guard on both sides to help the user remember, and keep, their finger outside the trigger guard when the pistol is in hand. The standard 3-dot steel sights will present a familiar sight picture to new and beginning shooters alike, while the stainless slide is adorned with wide, but ample, serrations fore and aft, both furnishing shooters a sure grip no matter how they prefer to charge the slide, and also while conducting press checks. Most importantly, the trigger is far, far improved over its clunky ancestor the Sigma, and the SD9VE is another surprisingly good shooting pistol made better for its (typically) under $400 price tag. Sometimes you just need to get back to basics. If what you are hankering for is a potent, well-balanced, fullsize revolver, the Taurus Model 65 is just the ticket. Packing 6 rounds of the legendary .357 Magnum in a svelte medium frame, this revolver will satisfy your wheelgun jonesing. This classic configuration is no throwback; it has all the features discerning revolver fans expect on the best of modern actions. 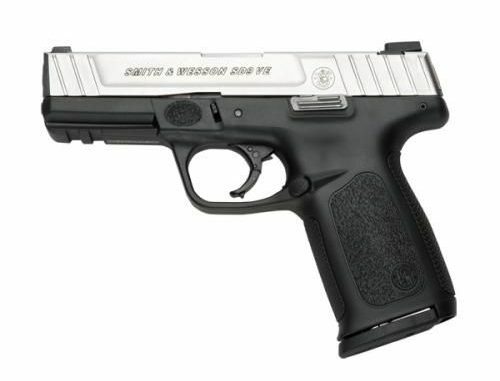 A transfer bar safety, integral locking system and ergonomic rubber grip and a nice trigger, though not quite at the level of their inspired and legendary competitor Smith & Wesson. This revolver can be loaded with barn-burning .357 Magnums for serious effectiveness, or loaded down with the more sedate .38 Special for those who like a little less blast and recoil. All around a great entry-level revolver: fine balance, packs a punch and a good trigger. The second revolver on our list, only where the Taurus Model 65 is a fullsize powerhouse, the Ruger LCR is a flyweight concealment piece. But don’t be fooled; it is no pipsqueak! Firing +P .38 Special, this little five shot is snub nose is more than capable as a defensive piece. 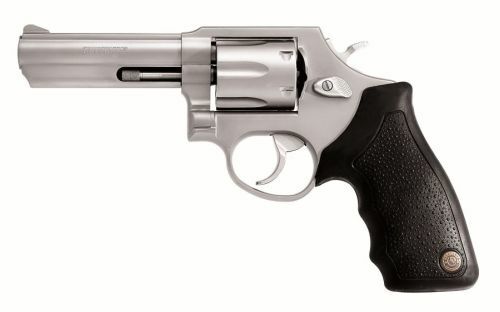 Ruger has long made darned tough revolvers in all sizes and calibers. But before the advent of the LCR they all shared one character flaw: they are all heavy! Even the small SP101 was a tiny tank of a handgun, but the LCR has bucked that trademark for the better with its use of polymer and lightweight alloys. Weighing in at just 13 ½ ounces, you’d be forgiven for forgetting you were even carrying this airy revolver! But the LCR is far more than just a lightweight last-ditch blaster. It has one of the best stock triggers on any production revolver from any manufacturer; smooth, virtually hitch-free and with a clean break. Combined with the better than average sights in its class the LCR is a pocket rocket, a snubbie that can be shot nearly as well as a fullsize revolver. 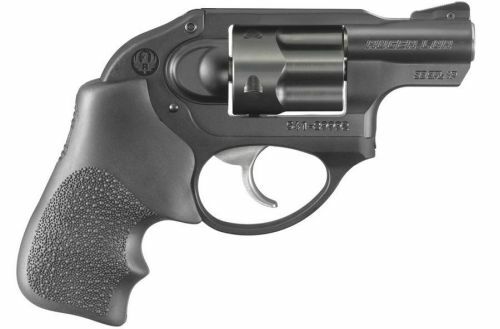 For concealed carry or backup purposes, the LCR .38 Special is tough to beat at any price. The baby brother in the M&P family, the Shield only gives up size to its larger siblings, not performance. 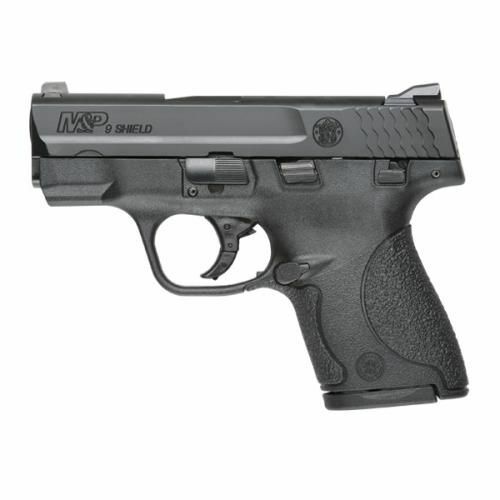 Slimming down to a 7 or 8 shot single stack frame did nothing to dispossess the Shield of any of the strong characteristics of the M&P line- good trigger, good control placement, rugged reliability- and adding also a manual thumb safety to the bargain. Ideal for deep concealment or backup use, the Shield fits nearly in the palm of your hand, but handles and shoots like its fullsize brethren. Included are two magazines, one that fits flush in the frame to maximize concealment and another, extended magazine that allows one additional round and extends the grip a smidge. Besides giving you one backup magazine to carry off the bat, this setup also allows you to tailor the gun slightly to your carry position. Dead tough, durable and a superb shooter, the Shield is a strong contender for the best shooting handgun on this list. Ruger’s latest autoloader offering is a revival of their legendary Security livery last seen on the classic and beloved Security Six revolver. The Security-9 is about as far away from that pistol as it gets, though: a thoroughly modern polymer handgun packing 15 rounds of 9mm in a magazine, this new self-protection piece packs in lots of features at a jaw-dropping price. The action is somewhat rare among semi-autos today. You’d be forgiven for thinking that the Security-9 is a striker fired gun, but it isn’t. Instead it is a single-action pistol with an internal hammer, ala its smaller cousin the LCP and F.N. Five-Seven. This provides a couple of perks: first, the trigger is a fair bit nicer than most competing striker-fired handguns. Second, it is much easier to charge the slide compared to a striker fired gun. This makes the Security-9 especially nice for those with less strength who may struggle with other semi-autos. All of this is rounded out by nice sights with interchangeable colored inserts, full-length guide rails and an accessory rail that will fit nearly all lights or lasers. Even better, the Security-9 is available with an integrated Viridian laser sight and is still under $500. A tough pistol to beat by feature set, and all backed up by Ruger’s legendary customer care. Sometimes it just has to fit in your pocket. If you need a truly tiny gun to ride where others can’t, and you don’t want to sacrifice quality, look no further than the mini but mighty Beretta Tomcat. This iconic .32 features the distinctive tip-up barrel of most Beretta small frame pistols that allows simple loading and verification of the chamber and a corrosion resistant stainless finish that is classy and practical. The Tomcat is a petite DA/SA gun that features a manual safety. Besides blocking the fire control, the safety also locks the slide for the ultimate assurance that even fully loaded this little pocket gun will behave itself and you can carry with total confidence, free from worry of any accidental discharge (so long as you don’t screw up). Guns this size are never easy to shoot well, and the .32 ACP is not on anyone’s list of man-stoppers, but when one really needs tiny pistol for whatever reason the Tomcat is one ferocious feline. Long the standard in double-action revolvers, with a proud history stretching back to before the 20th century, Smith & Wesson know wheelguns. Their 642 Airweight is no exception. This slim, slick .38 is a perfect example of a snubbie. The 642 carries 5 rounds of .38 Special in a form factor that is just about as slender as you can make a revolver this size. Impeccably finished and fitted, the 642 is heir apparent to the legendary excellence that has see S&W endure well into the 21st century. The trigger is smooth, but a little heavy with some pronounced stacking near the end of travel, but it is very manageable, especially when shooting at typical distances where a handgun of this nature is likely to be employed. Reliable to a fault and a joy to carry, the 642 is a perfect companion for those who want to carry a classic defensive gun on their travels. Long viewed as the stepchild of the Sig Sauer pistol line, the SP2022 is actually an excellent DA/SA handgun in all aspects, one more than worthy of being venerated right alongside its classic P-Series peers. Way back in the late 1990’s, Sig, was one of the first major manufacturers to go “all-in” on turning out a modern take on a combat handgun rendered in polymer, this was the SP2009 and SP2340, in 9mm and .40 respectively. The controls were instantly familiar to anyone who had user one of Sig’s P226’s or P220’s. The internals were different, but this new gun was light, and it could shoot. It also featured a (proprietary) light rail on the dustcover and interchangeable grip shells for fitting different shooters. Fast forward a decade and change and the SP2009 has evolved slightly into the SP2022: same great concept, only with a modern accessory rail. The SP2022 is a dynamite traditional double action pistol: ultra-reliable, a super trigger on any DA/SA, shockingly accurate and very easy to carry thanks to its light weight. This has been a sleeper for Sig for a long, long time, and only in the past several years have they started to catch on in America. Europe, for once, was on board with these guns for some time since. 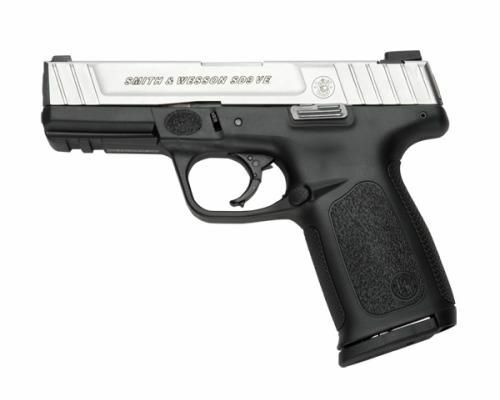 If you want A-tier reliability and durability at a budget price, this is your pistol. 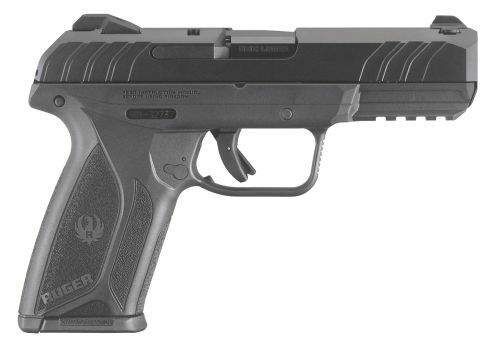 Ruger’s 3rd entry on our list, and a special purpose handgun without peer. Most shooters see Big Red’s classic rimfires as training, plinking and target shooting guns, but for those who have difficulty running larger, service caliber pistols or those who need to stay really, realllly, quiet, they can work wonders. Couple reasons why this is so. First, for anyone, the 22/45’s handle and shoot much like a similarly sized “full power” pistol. Form factor, handling and control layout is very much like it would be on another handgun its size. Second, for those who may struggle with another semi-auto, loading the thin magazines with an integrated follower peg and charging the bolt is far simpler than other pistols. Third, for Sneaky Pete-types, the threaded muzzle, under barrel and receiver top rail allow mounting of silencers, optics and lasers or flashlights, same as any “real” pistol. What’s more and most important, the 22/45’s are renowned for their unflinching reliability with almost any kind of .22 ammo. That is no mean feat, as owners of little rimfires will attest. Combine this dependability and feature set with high-quality .22 LR loads and you have a rimfire that can serve as a primary defensive gun for certain applications. Underestimate this one at your own peril; this .22 has the genes of bigger, meaner guns. You don’t have to spend a thousand bucks or more to get a quality defensive handgun in this day and time. You don’t even have to go perusing the bargain bin or pre-owned case at the local gun shop. Plenty of manufacturers are turning out great guns at fair and modest prices, ones that are suitable for defense and a whole lot more. 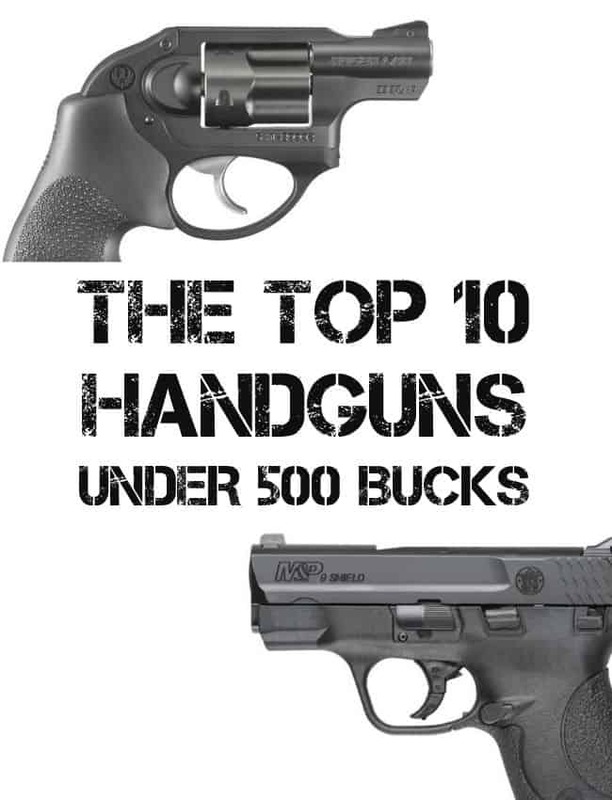 If you are on a tight budget, or just don’t like the notion of dropping $800 large on a pistol, give this list a look and you are sure to find a pistol to fit your preferences and purpose. Why is it that all of these review websites for handguns under a certain amount of money usually 500 or less never mention the hi point. The high points is a pretty good gun I’ve owned two of them myself and have been able to shoot every type of ammunition that’s available on the market haven’t had a single issue with mis feeds, stove pipes, or any issues similar to these. Most of the guns that you have on this list have these issues with one type of ammunition or another.